Providing you the best range of ss copper bottom kadai, stainless steel tope with copper bottom, stock pot, fry pan induction base, sauce pan induction base and idli maker encapsulated bottom induction base with effective & timely delivery. 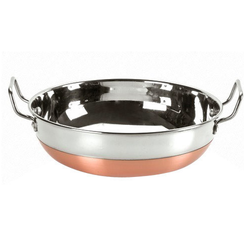 Backed with rich experience and knowledge in this sector, we are considered to be one of the most professional manufacturers and exporters of SS Copper Bottom Kadai. Backed with rich experience and knowledge in this sector, we are considered to be one of the most professional manufacturers and exporters of ss Steel Tope with Copper Bottom. 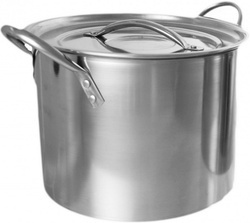 We are instrumental in offering premium quality Stock Pot. Due to features like dimensional accuracy, durability and easy to use, the offered cookware is extensively demanded in the market. A team of our adept professionals, with hard-earned experience designed the offered cookware using high advanced technology. 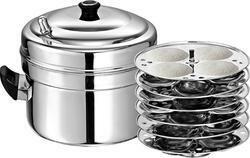 The offered cookware is available to our clients at market leading prices within given span of time. Owing to the expertise of our team of experienced professionals, we are able to manufacture and supply an exclusive range of Fry Pan Induction Base. Owing to the expertise of our team of experienced professionals, we are able to manufacture and supply an exclusive range of Sauce Pan Induction Base. Owing to the expertise of our team of experienced professionals, we are able to manufacture and supply an exclusive range of Idli Maker Encapsulated Bottom Induction Base. Owing to the expertise of our team of experienced professionals, we are able to manufacture and supply an exclusive range of Kadai Induction Base without Lid. 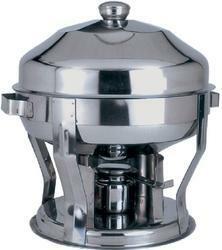 Owing to the expertise of our team of experienced professionals, we are able to manufacture and supply an exclusive range of Diamond Chafing Dish.